On Monday May 19th, Kitely, the on-demand virtual worlds provider, announced it now supports the Hypergrid, and provides strong content support in doing so. The ability to teleport between Kitely worlds and other Hypergrid enabled OpenSim grids was actually enabled on Sunday 18th, ahead of the official announcement, and saw a number of Kitely / OpenSim users putting the capability through its paces. We have an important announcement: Kitely now supports the Hypergrid! Kitely users can visit other grids, and users from other grids can visit Kitely worlds. Kitely is the only OpenSim grid that supports the Hypergrid and also has strong content protections that prevent unauthorized items from leaving the grid. 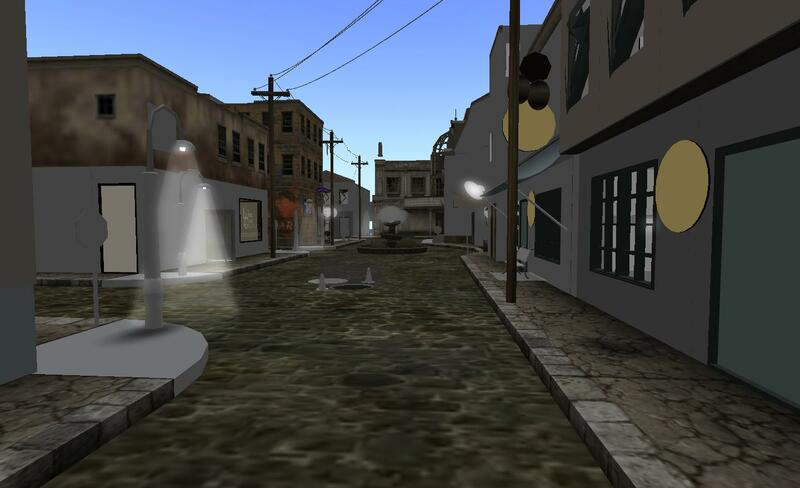 The blog post itself explains how Kitely users can teleport from Kitely to other grids, how they can – if they wish – enable their Kitely worlds for Hypergrid access, and how other OpenSim users on hypergrid enabled grids can teleport to Kitely worlds. Considerable length is given to the important matter of content protection and export permissions. This includes information on how items defined as No Export are protected from being physically removed from Kitely worlds either by Kitely users or those visiting from other Hypergrid enabled grids. To ensure content is fully protected, Kitely have also implemented changes to their Export World capability. Given the in-depth extent of the Kitely announcement, I refer readers to that post for further details. Overall, a long-waited move by Kitely, and congratulations to the team for achieving this milestone. With the SVVR Conference and Expo underway in California, now is perhaps a timely opportunity to take a peek at what is being billed as an open-source competitor to the Oculus Rift. Techcrunch, along with several other technology blogs / websites, covered the news a few days ago that a Chinese start-up, ANTVR Technology, is developing an open-source, cross-platform virtual reality gaming set, called the ANTVR kit. The kit is said to be compatible with games designed for the Oculus Rift and with most PC and console platforms. It can connect to any device offering direct HDMI output, or via an HDMI adapter if no direct HDMI output is available. Supported systems include computers, games consoles, iOs devices, Android devices, and even Blu-ray players. The new headset is currently a part of a Kickstarter campaign, which despite the backlash over the eventual acquisition of Oculus VR by Facebook, has already seen 450 people commit (at the time of writing) almost $170,000 of the $200,000 goal in just seven days, suggesting that if the rate of pledges is maintained, the ANTVR Kit could end-up going that same way as both Oculus VR and Technical Illusion’s castAR, and exceeding its modest target by a good margin. The headset unit has a 1920 x 1080 high definition, 1.03 megapixel per eye, display with a 4:3 ratio offering a 100-degree diagonal field-of-view. A dual aspherical lens arrangement is apparently included to help eliminate image distortion when projecting standard ratio images. Like the Oculus Rift, it has an internal 9-axis Inertial Measurement Unit (IMU) for head rotation and movement tracking, and it can be worn with prescription lens glasses. A novel aspect of the headset is the inclusion of a “glance window”, a slide-up port on the front of the unit which can be pushed up to allow the wearer to re-orient themselves in the real world or their keyboard. While still not a real solution for those needing to use the keyboard and can’t re-orient finger positions easily (no tactile indicators on F, J, and numeric pad 5, for example), it at least means the headset itself doesn’t need to be pushed up to the forehead to see things. A further interesting feature of the kit is the inclusion of the multi-function handset controller. When completely assembled, this forms a gun which can be used in first-person shooter games and the like. However, the “barrel” of the gun can be detached, and the “pistol grip” becomes a joystick, suitable for use with flight simulators, etc., or as a Wii-style controller. This further opens-out into a game controller handset. A further unique aspect of the handset unit is that it also includes a 9-axis IMU, which tracks body movement and actions, allowing the wearer to control a degree of on-screen character movement via both head and body movement, and to simulate a range of actions (crouching, jumping, throwing a grenade…). An additional WHDI unit can be added to the assembled handset (and is shown in the image above), allowing for a reported low-lag (less than 1ms) fully wireless gaming experience. The WHDI unit is not supplied as standard, but the company states it will offer it for $200. 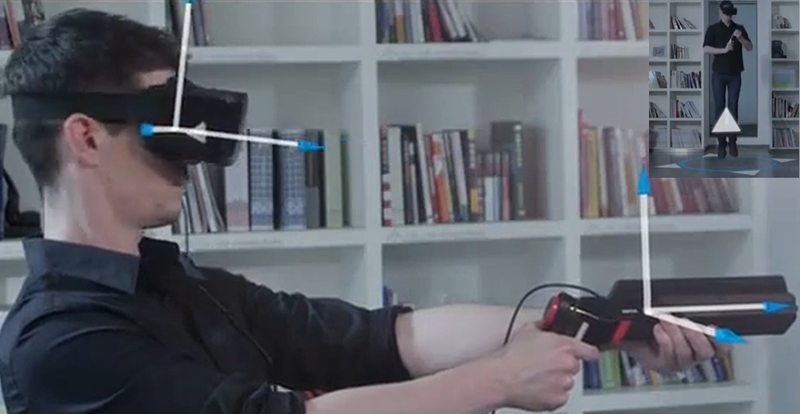 As with the Oculus Rift, a software development kit (SDK) is to be made available with the ANTVR kit. The open-source nature of the kit means that there is potential for it to be used with a range of systems beyond those for which it initially supports. The Kickstarter campaign is being run along very similar lines to the Oculus VR, up to and including an opportunity to visit the ANTVR Technology studios in Beijing for those willing to pay-out $5,000 (plus meeting their own airfares, etc. ), which will also include guided tours of China’s capital. For $270-$300, supporters get the ANTVR kit and other goodies, while for $470-$500, supporters get the kit with a WHDI wireless unit as well.Those offering less that $270 get to choose from other reward options. 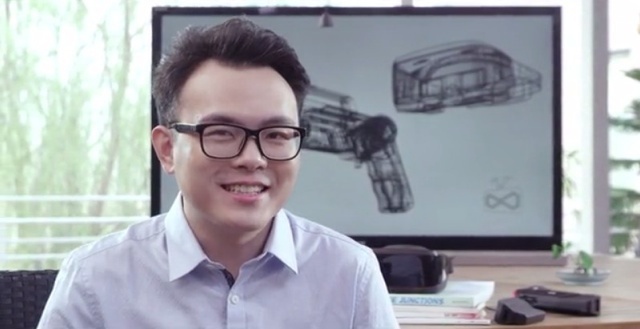 Qin hopes that following the kickstarter campaign, ANTVR Technology will be able to start shipping kits in September 2014. The following promotional video examines the ANTVR kit, and shows it in use with the additional WHDI wireless adapter. 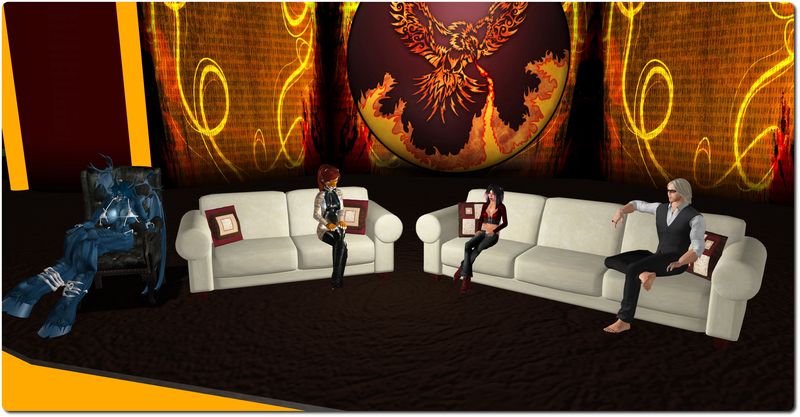 On Saturday May 17th 2014, the Firestorm team hosted another of their Q and A sessions to discuss Firestorm and Second Life, and to address users’ questions. Unfortunately, no public video for the meeting is available. The following transcript is therefore provided from a personal audio recording made by myself. This transcript is provided for informational purposes only. I am not an official member of the Firestorm team, and technical or support issues relating to Firestorm cannot be addressed through these pages. Such requests for assistance should be made through the in-world Firestorm Support groups or at the Firestorm support region. 00:00 Jessica Lyon (JL): So we released 4.6.5 two months early – surprise! It’s been a more-or-less, pretty much across-the-board, a really good release for folks, with few problems and lots of improvements, although it is primarily just bug fixes which are in it anyways. So that was sort-of to be expected and hoped. 00:25 JL: It was a bit of an experiment, because we’ve had a lot of people complain about how long our releases take, including some of our own developers and even some support people. So it was a bit of an experiment in some ways just to see what happens if we do a release in half the time. And the results are interesting. 00:48 JL: Adoption – the rate at which people upgrade from whatever older version they’re on, has been very slow compared to other releases; although that’s not to say it’s non-existent. We have … 85,000 people on 4.6.5 now, and that’s not quite in a full week [since release]. So that’s no slouchy number; but in a typical release, we’re usually up around 140,000, so almost twice that. 01:28 JL: It’s easier for support, certainly, because fewer people are updating all at the same time, so I guess that stretches out the support load. [It’s] easer for QA, that’s good to know. But that doesn’t mean we’ll be able to do releases in that two-month time frame all the time. 01:56 JL: For example, our next task is going to be project interesting, which I’m sure most of you are aware of, Linden Lab just finally released it, and it’s apparently really, really good. Things rez much faster, and we can’t wait to get … to the point after we’ve merged it … [there’s a description of the interest list work, as per the blog post linked to above].